With the highly received movie The Black Swan, it was inescapable that ballet inspired fashion would hit hard.From the runways to the red carpets, ballet inspired fashion is turning up everywhere and it's easy to achieve, can be very flattering. This look embodies one of the most glamorous, elegant and beautiful forms of dance and luckily you don’t have to be a ballerina to try it out. You can sport a subtle ballet inspired fashion look with a few key pieces or go full out fabulous. "Gilles Mendel has prima ballerinas on the brain. Earlier this summer, he designed the costumes for the New York City Ballet's production of Call Me Ben; then he shot his Resort lookbook in the dance studio; and now his Spring collection finds him back at the barre." David Koma's Spring/Summer 2011 collection was inspired by Russian Ballet and cubism art of Fernand Leger.David Koma's Spring/Summer 2011 collection was inspired by Russian Ballet and cubism art of Fernand Leger. I am so in love with Chloé's ballerina inspired looks in their Spring/Summer 2011 collection. Those flats are absolute perfection! And the skirts! I'm in love. First of all I'm so sorry for poor quality of photo. It was late evening and I was in a hurry to take some shots before it gone be pitch black. 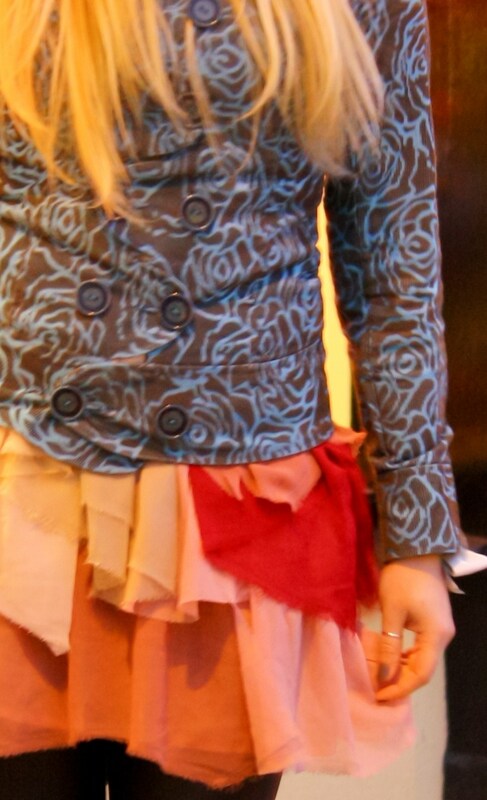 I just want to show You my jackets scalloped details and lovely pattern. Love the Giles Mendel and Chloe collections! The latter could actually be a costume from Black Swan! Did you make the skirt yourself? It's a nice subtle nod to the ballerina style. Thanks for your comment yesterday - I completely agree about buying cool notebooks! I simply love reading your blog!! Thank you so much for commenting on my blog!! jaj, your fotos are great, like it my fashion girl.. and jacket is wonderful! i have seen black swan, its good film...thumbs up for all post! Thanks for the comment! Love your ballerina skirt! Hello Ramona, I love the freshness of your blog, and above all your outfits posts.They talk about what you are and what you wear better than any words.